Perhaps the most charismatic, enigmatic and iconic rockstar in history, American singer-songwriter Jim Morrison was also an accomplished poet. His haunting baritone vocals, wild personality, and nihilistic angst personified hippie counterculture rebellion and left a seminal legacy unmatched by any other rock artist. He wrote some of the most authentic, imaginative and visionary music of the rock era. Born “James Douglas Morrison” in Melbourne, Florida in December 1943, his father was professional navy man. As a young boy traveling, the young Morrison witnessed a car accident in the desert in which he saw a family of Native Americans dying on the road. He would later claim that the soul of a Native American merged with his own. While studying in high school in the late 1950s, Morrison explored, and was influenced by the work of poets and philosophers such as Friedrich Nietzsche, Allen Ginsberg and Michael McClure. He finished his undergraduate degree at UCLA’s film school in 1965, and made several surreal short films. It was in UCLA where Jim Morrison met Ray Manzarek, a fellow cinematography student. In the summer of 1965, the two formed a band called “The Doors”, and later recruited guitarist Robby Krieger and drummer John Densmore. The band’s name was influenced by Aldous Huxley’s The Doors of Perception. The Doors become the house band at the famous nightspot Whisky a Go Go in 1966. That same year, Morrison met Andy Warhol, who was in Los Angeles with the Velvet Underground. The Doors rose to worldwide prominence after signing with Elektra Records in 1967. The single “Light My Fire” spent three weeks at number one on the Billboard Hot 100 chart. After the release of their second album, Strange Days, The Doors would be the largest band in the United States, and Morrison would have fabled meetups with Jimi Hendrix, Janis Joplin, and Mick Jagger. The legendary image of bare-chested Jim Morrison would become one of the most popular global insignias in popular culture. Morrison established a close bond with Michael McClure, who encouraged him to publish his poetry. Alcoholism and drug addiction destroyed the golden years of Morrison’s career. After being wrongly arrested over supposedly exposing himself onstage in Miami in 1969, Morrison lost interest in being a pop star and eventually relocated to Paris to live as a poet. Collections of poetry published by Morrison include The Lords / Notes on Vision (1969), The New Creatures (1970), An American Prayer (1970), Wilderness: The Lost Writings of Jim Morrison (1988), and The American Night (1990). Morrison died aged 27 of a heroin overdose in July 1971, in a Paris apartment he shared with Pamela Courson. His grave in Père Lachaise Cemetery is one of the most often visited places in the City of Light. It attracts thousands of tourists and fans each year. Jim Morrison was inducted into the Rock and Roll Hall of Fame (1993) and the Grammy Hall of Fame (1998) as a member of the Doors. He is ranked #47 on Rolling Stone’s list of the “100 Greatest Singers Of All Time” and #40 on Q Magazine’s compilation of the “100 Greatest Singers”. 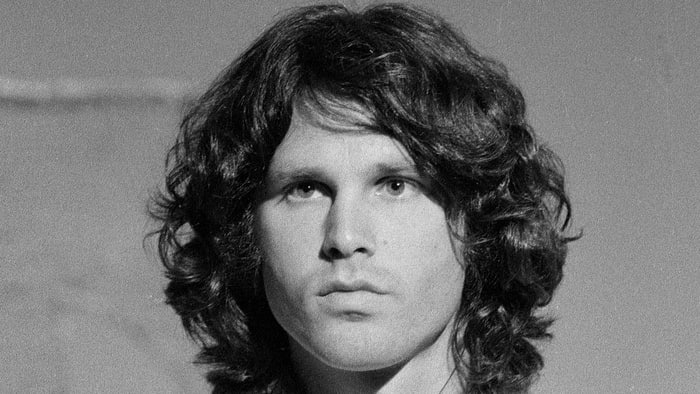 Jim Morrison shared a turbulent relationship with his father. He had severed all ties with his family after graduating from UCLA. Morrison met his long-term companion Pamela Courson before he attained any chart success in 1965. Although they never married officially, Courson referred to herself as Jim’s wife. Morrison’s substance abuse eventually led to his death in 1971 at a young age of 27. Thousands of fans from all over the world regularly make pilgrimages to his grave in Père Lachaise Cemetery in Paris.